On draft at City beer. Poured in a tall glass with about an inch of head. Malty redwood is a great description. If your looking for hops don't go here but if you love malt this is a keeper! On-tap in Mendocino. Pint glass. 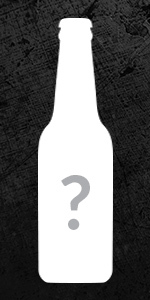 A: Pours a root-beer caramel brown with a clinging tan head that faded into a lasting fuzzy film. Great streaky lacework was left down the glass. S: Woody, roasted and malty smelling. Slight herbal forest notes as well. T: Mild chocolate, woody malts, slightly sweet caramel, no bitterness at all. Grainy aftertaste with more wood and earthy flavors. M: Creamy mouthfeel with soft carbonation. Medium body with a good amount of chew to it. Solid and easy to drink. O: Definitely woodsy, with a mild leafy taste. Very smooth and quaffable. Instead of hops this is made using redwood tips, like a gruit. It’s a ruddy amber in color with great foam. The aroma of redwood tips is there, present and upfront. With that I find notes of cherries and sweet vermouth, like a well-made Manhattan. It’s lightly carbonated, giving it a fuller, rounder body. It’s not hoppy but mellow, with that sweet wine finish. Needless to say, I loved every sip. A - Deep brown in color. Nice head which dissipates slowly. No lacing. S - Not much to the smell. I can smell some subtle roasted malt but not much else. T - It's got a nice level of sweetness up front with some chocolate/coffee flavors. The spice doesn't hit until the aftertaste. Got a spicy Cinnamon with the red wood (I'm guessing) earthiness lingering on the back of the tongue. M - Really smooth for what I was expecting with it being a gruit. Full bodied mouth feel with the subtle and delicious spice bouquet at the end. O - It tasted almost exactly like death and taxes to me with less of that smoky flavor until the spice hit at the end. It is really delicious and I loved the subtleties of the aftertaste. It is an interesting take on a classic beer style. I will definitely order this again. On-tap at Flavor Bistro. Served in a Moonlight pint glass. A - Very dark brown with some ruby-red highlights when held to the light. A finger of tan foam settles to some splotchy lace and a thick collar. S - Smokey, roasty, woodsy, and earthy, with some coffee as well. There's an herbal character that could easily be mistaken for hops, but I'm guessing is actually the spruce tips? T - Again, very earthy and woodsy, with roasted malts, smoke, and light cocoa sweetness. Finishes with moderate bitterness, but not much over herb flavor. M - Medium-high carbonation, slightly gritty medium body, crisp and refreshing finish. Like most Moonlight offerings, it doesn't reveal an alcohol. D - Interesting beer - I'd probably guess hoppy black lager or porter if having this blind (which is indeed what happened, as Flavor had no idea what the beer was when I asked). I enjoyed it quite a bit and had no problem putting down the entire pint. On tap at Flavor Bistro In Santa Rosa. Served in typical Moonlight Brewing Pint Glass. A: Very dark brown. When held up to the light, a bit of a reddish hue was visible. Little head to speak of. Virtually no lacing. S: Roasted malts were first and foremost. A bit pf smoke. T: Delicious. Roasted flavor was pronounced, as was a smokiness. Very pleasing. There were a few hints of coffee, some woody aspects as well. M: Fairly thin. Very carbonated. A bit dry. O: I tried and was not a fan Legal Tender, which was also a Gruit. I almost didn't order it for that reason, but I am really happy I did. This was a very tasty beer. One I will order again.